Kong Hwa School is located at 107, Circuit Road in Singapore 379481. It is enclosed within the Mountbatten Constituency. Mountbatten is an estate within the Kallang area, just a few blocks away from Marine Parade. It is named after Lord Luis Mountbatten. It covers around 161 hectares of land. Nearest MRT is Macpherson MRT and the closest Bus Interchange is Eunos Bus Interchange. Amenities in the area include Geylang Serai Malay Village, Joo Chiat Complex and NTUC Fairprice. 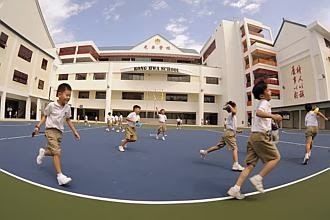 Some of the schools close by are Macpherson Primary and Secondary School, Canossa Convent Primary School and Geylang Methodist Primary and Secondary School.